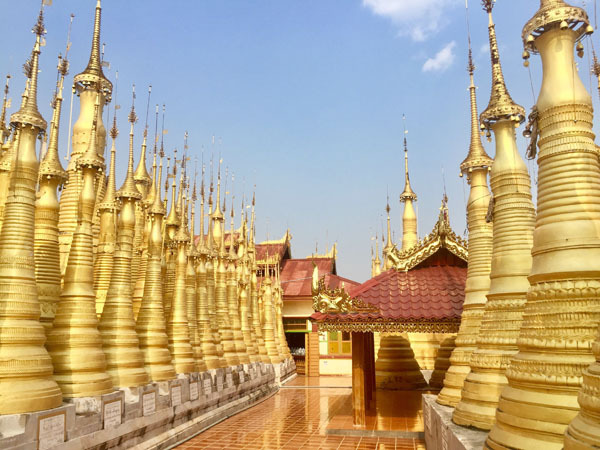 The Inle Lake region is one of Myanmar’s most beautiful destinations and just a short flight away from Mandalay or Yangon. 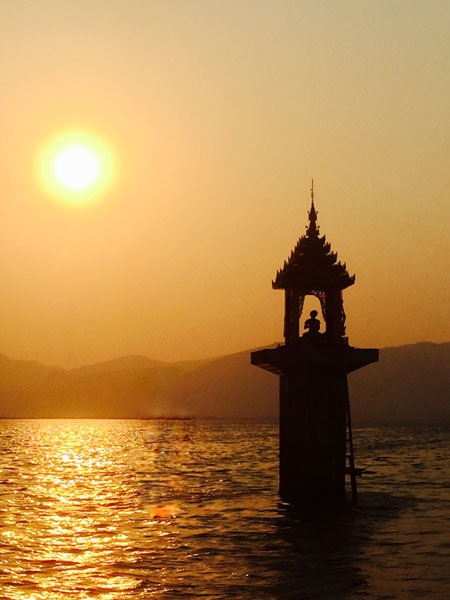 A vast, serene lake dotted with floating gardens, Inle Lake is a magical scene, where stilt-house villages and Buddhist temples rise above the water. Here you can discover simple villages, historic pagodas and monasteries, as well as the traditional ways of life – the fascinating feeling of a history lesson frozen in time. Amidst this placid lake with stunning mountains and lush foliage in the backdrop, the Novotel Inle Lake Myat Min, an Accor Hotel, located in Nya ung Shwe is the perfect retreat from which to take in all the natural beauty surrounding you. Architecturally inspiring, the hotel features bold cubic buildings, wood panel walls and vast windows which give it a contemporary vibe and allow you to appreciate the amazing vistas. The public areas are spacious and modern and the grounds are spread out with wooden walkways that are beautifully lit in the evenings. Accommodation options include 60 junior suites and 60 lakeside villas, each decorated with dark wood flooring and chic blue and charcoal-gray furnishings and contemporary artwork. All rooms have patios or balconies, however the over-water villas are ideal for watching the spectacular sunsets in the comfort of your own private area. Unwind in the elevated infinity pool with a swim-up bar, and enjoy the unobstructed view of the lake, or head to one of the two restaurants for delectable dishes that offer a wide range of options. 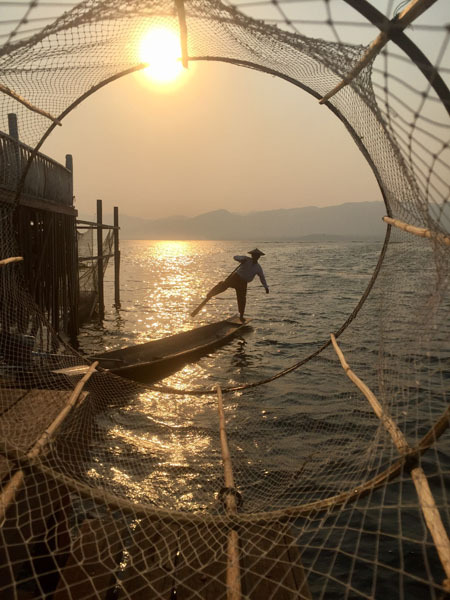 Sunset Restaurant, located over Inle Lake, offers the perfect place to catch the sunset while enjoying an a la carte menu with a walk in wine cellar. Terrace Restaurant serves up freshly prepared meals with a large selection of Asian and international specialties in a stylish ambiance. The best way to explore the lake is by boat, which can be easily arranged by the hotel concierge with a variety of excursion options. In a day trip you can visit the various cottage industries such as silk weaving, where you can observe women with bamboo machines moving their hands and feet in a rhythmic dance, or watch blacksmiths and silversmiths at work while later passing by the floating market that moves between the area’s villages. Gaze admiringly at the Intha fishermen who have existed for centuries fishing with a leg rowing technique or admire the view from a higher vantage point at the Red Mountain Winery, which is at the top of a very steep vineyard hill. Another highlight of this region located in the small village of Indein is Shwe Inn Thein, an impressive complex of thousands of crumbling stupas, most constructed in the 17th and 18th centuries, and vary in colors, from earth tones to the restored golden ones which glisten in the afternoon sun. 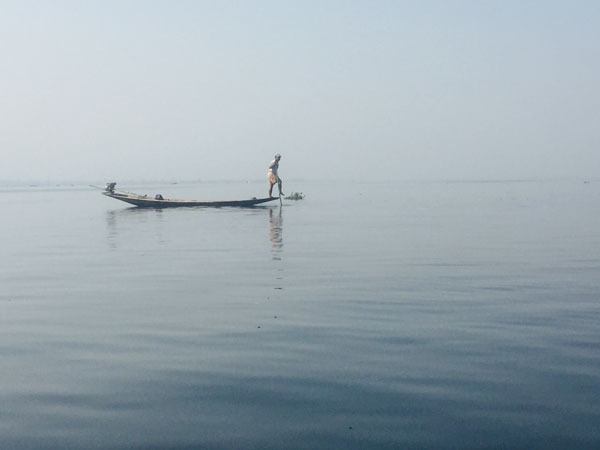 Regardless of your chosen excursions, Inle Lake is a one-of-a-kind place, where nature’s beauty and that of the local tribes fuse into a magical setting of harmony and peace.